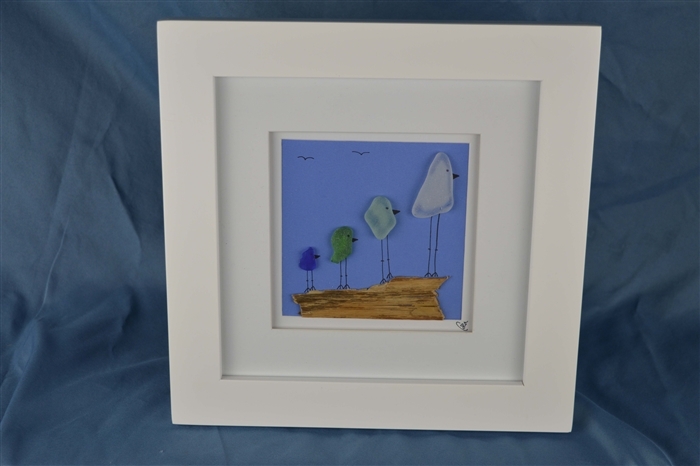 Bird scene made from seaglass and natural beach treasures in a square white frame. 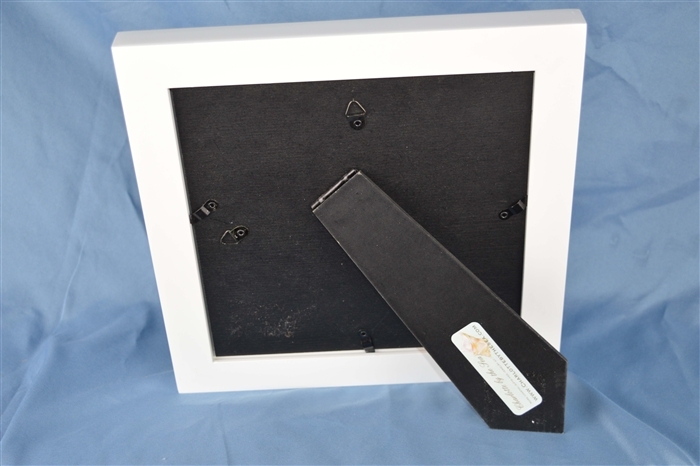 Overall frame dimensions approximately: 10 inches x 10 inches. Inside matted scene measures approximately: 4.5 inches x 4.5 inches.